Chicago Alimony Lawyer | Johnson & Johnson, Ltd. When a couple divorces one spouse may require alimony, also known as spousal support or maintenance. Your Chicago alimony lawyer will explain to you that alimony was a very common part of most divorces in the past. Today, alimony still exists; however, it has changed and evolved. Many couples do not utilize alimony because both people are working and able to support themselves. The two most common types of alimony are temporary and permanent. While temporary alimony may be granted to a spouse during the divorce proceeding, permanent alimony may be granted when the divorce is finalized. Alimony can be a complex concept and requires assistance from a knowledgeable Chicago alimony lawyer. The reputable Chicago alimony lawyers at Johnson & Johnson are available to assist in all family law matters, including divorce and alimony. Rehabilitative Alimony – maintenance granted to one spouse, for a specific period of time, to allow that spouse to prepare to re-enter the job force and seek employment. Indefinite Alimony – maintenance granted to one spouse, without a termination date, when that spouse is not able to become employed. Your Chicago alimony lawyer will inform you that rehabilitative alimony, also sometimes called bridge-the-gap alimony, is often provided as a way to help one spouse as he or she prepares to get a job. This may include time for education or to update job skills and the time it takes to find a job. Rehabilitative alimony, when ordered, has a finite end date. If this date needs to be extended, the recipient spouse will need to request an extension through a court hearing. It is important to have the assistance of a Chicago alimony lawyer at the hearing. Indefinite alimony is much less common today than it was several decades ago. It is provided for a spouse who did not work for a long period of time, has few job skills, or is physically or emotionally unable to work. Indefinite alimony is most often ordered in marriages that lasted many years or decades and where one spouse was the primary financial provider. A skilled Chicago alimony lawyer will assist you to determine whether either type of alimony is appropriate in your case. Generally, a court will review all of these factors along with any other relevant information before making a decision regarding alimony. The goal of a court is to provide a ruling that it feels is fair to both spouses based on all the details of the case. It is important to note that marital misconduct and the reason for the divorce are not factors used when setting alimony. Each situation is unique and therefore the determination of alimony will vary from case to case. A qualified Chicago alimony lawyer will review your divorce circumstances to help you with questions and concerns regarding alimony. 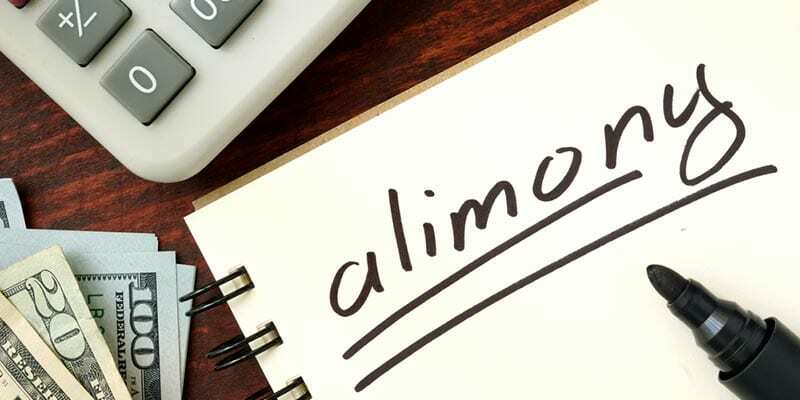 Those who feel they are entitled to alimony should discuss the situation with a Chicago alimony lawyer to assist in the request. Your Chicago alimony lawyer will explain to you that once a court determines that alimony is appropriate for one spouse, the court will use the maintenance guidelines to determine the amount of the award. Usually, alimony payments are made on a monthly basis directly from one spouse to the other. Sometimes a lump-sum payment is ordered rather than payments on a monthly basis, however, even lump-sum payments may be made according to an installment plan. As with child support, the court may order the payment of alimony be made through the a state agency. In that situation, a spouse makes the payments to the state agency, and the agency passes the money on to the recipient spouse. This may be done when the paying spouse has a history of non-payment or when a court order of protection is in place between the spouses. When specific needs must be met it is essential that you or your Chicago alimony lawyer provide the court with this request for review. Once an order of alimony is put into place it can only be modified through the courts. A post decree modification can be requested by either spouse but must be done using the proper procedures. A Chicago alimony lawyer will make sure the proper procedures are followed. Changes are sometimes necessary when there are substantial changes to the circumstances that affect alimony. For example, if a spouse had a high paying job when the order was originally made but has subsequently gotten laid off, the spouse may request that alimony be changed to reflect the change in income. Alternately, when the paying spouse gets a significant raise in pay the recipient spouse may request that more alimony be paid. If you feel changes are needed to an alimony award, then contact your Chicago alimony lawyer to review your request and assist in getting a court hearing. A Chicago alimony lawyer will inform you that alimony generally terminates when the spouse receiving the alimony remarries. It may also be ended if the recipient spouse lives as a couple with a new partner. Also, a court order may specify when and how alimony ends. If either spouse dies, the payment or obligation of alimony automatically terminates. A paying spouse may request termination of alimony based on the knowledge of a change to the recipient spouse’s circumstances that would warrant it. The termination of alimony requires a court order, which must be accomplished through a court hearing. This can be facilitated with help from a Chicago alimony lawyer. Couples often disagree when it comes to the settlement terms of a divorce. Even couples going through an amicable divorce may find they disagree regarding financial issues. Disputes about alimony are common and can create a difficult and complex divorce process. It is often best to address expectations of alimony up front, which can be accomplished with help from a skilled Chicago alimony lawyer. The experienced Chicago alimony lawyers at Johnson & Johnson, Ltd. are proficient at helping clients achieve the alimony they deserve. You may have many questions and concerns regarding alimony or any other aspects of divorce. A reputable Chicago alimony lawyer will answer your questions and guide you through the steps necessary to achieve the results you want. At Johnson & Johnson, Ltd. we care about our clients and work hard to protect your rights and get you the money you deserve. Contact our firm today to schedule a consultation with a Chicago alimony lawyer.